Ukrainian technology satellite. Technology test version of the original DS light satellite design. Primary mission was to test launch vehicle. Technology Experiments, Asteroid & Comet Flyby Probe satellite built by Spectrum Astro for NASA, USA. Launched 1998. Used the SA-200HP bus. Status: Operational 1961. First Launch: 1961-10-27. Last Launch: 1961-12-21. Number: 2 . Gross mass: 300 kg (660 lb). Family: Technology, Technology satellite. Country: Ukraine. Launch Vehicles: Kosmos 2, R-12, Kosmos 63S1, Kosmos 11K63. Launch Sites: Kapustin Yar, Kapustin Yar Mayak-2. Agency: Yuzhnoye. Bibliography: 2, 474, 79, 6458, 12241, 12242. 1960 August 8 - . LV Family: R-12. Launch Vehicle: Kosmos 63S1. Kosmos 63S1 small booster and DS small satellites authorised. - . Nation: Russia. Spacecraft: DS-1, DS-2. 1961 October 27 - . 16:30 GMT - . Launch Site: Kapustin Yar. Launch Complex: Kapustin Yar Mayak-2. LV Family: R-12. Launch Vehicle: Kosmos 63S1. FAILURE: First stage failed.. Failed Stage: 1. DS-2 s/n 1 - . Payload: DS-1. Mass: 300 kg (660 lb). Nation: Russia. Agency: RVSN. Program: DS. Class: Technology. Type: Navigation technology satellite. Spacecraft Bus: SA-200. Spacecraft: DS-1. Failed first attempt to launch a DS-1 technology test version of the DS satellite atop a Cosmos 63S1 small launch vehicle. The boster didn't reach orbital velocity due to the failure of an acceleration integrator in the velocity regulation control..
1961 December 21 - . 12:30 GMT - . Launch Site: Kapustin Yar. Launch Complex: Kapustin Yar Mayak-2. LV Family: R-12. Launch Vehicle: Kosmos 63S1. FAILURE: Second stage failed 354 seconds after launch.. Failed Stage: 2. DS-1 s/n 1 - . Payload: DS-1. Mass: 300 kg (660 lb). Nation: Russia. Agency: RVSN. Program: DS. Class: Technology. Type: Navigation technology satellite. Spacecraft Bus: SA-200. 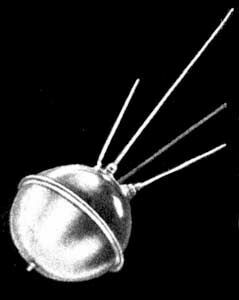 Spacecraft: DS-1. Second attempted launch of Cosmos 63S1 small launch vehicle 2LK with a DS-1 satgellite. This time the new second stage failed. The oxidiser was exhausted before orbital velocity could be reached due to uncontrolled pumping of liquid oxygen into the combustion chamber. The upper stage and satellite impacted in the Kurile Islands. An Expert Commission headed by Ustinov was convened to review the program. 1963 October 1 - . LV Family: R-12. Launch Vehicle: Kosmos 11K63. Kosmos scientific satellites authorised. - . Nation: Russia. Spacecraft Bus: SA-200. Spacecraft: DS-1. All-Russian Council of the National Economy (VSNKh) Decree 'Program for Space Investigations With Small Artificial Satellite, Launched on the Kosmos -- On course of work on small satellites at OKB-586' was issued..